This reception looked AMAZING. We got the chance to celebrate with Mr. and Mrs. White @ Petruzello’s of Troy Michigan. 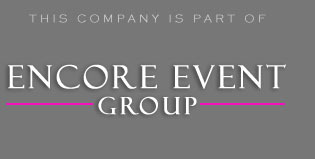 The client also hired Encore Event Group to help with the wedding DJ and event coordinating. Our bundled packages are very popular for clients. They appreciate the fact, that we can included a variety of services for them. It makes it less stressful, being able to finalize details all through one commonly referred company. I have to say, that Encore DJs has light up dozens of weddings every month across the state. What I love about this venue, is that our lighting design can accomplish several things. Michigan uplighting will transform the space with color. 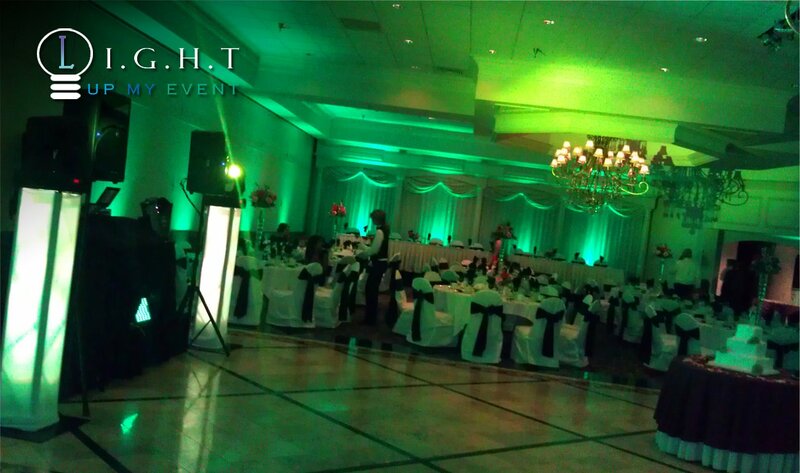 For starters we did uplighting around the perimeter of the space. I’ve always suggested using very intense color choices. The more vibrant the color, the better the result. I love working events like this when we can walk in and completely transform the room with lighting. It made for a beautiful backdrop in the couples wedding photos! One great place to accent your room is with a ceiling wash effect. This can be done in almost any color you request. The light was positioned in a way, so that it highlighted the main chandeliers for Mr. & Mrs. White’s celebration. Our lighting systems are completely computerized. This gives our team full control over both the ceiling and room uplights. For this reception, we were able to have the lighting mimic the mood of the event. Often times, we will use a primary and secondary color to compliment the rest of the decor. Our client gave us sample color swatches months before the event. We had no problem matching their linens, centerpieces, and floral designs. Client give tons of compliments when it comes to room lighting. When packaged with the photo booth and entertainment, it brings the pricing cost down. Our goal is to work with you budget while giving your great options. This is why we personally invite every client to meet with us at our location before finalizing any details. Included with every package is our complimentary online planning system. This area gives you the freedom to input all your party details from the comforts of your personal home. We don’t leave out any small details when it comes to the most important day of your life. Let us help you take away the stresses by making it picture perfect. For info on how we can make your guests say WOW, e-mail us here or call 877.643.8368.